Struggling actress Jocelyn “Josh” O’Roarke just got a real offer. Well, something resembling a real offer. Her old friend Austin Frost has written a play for Broadway and cast the glamorous Harriet Weldon as the lead. Not wishing to leave his old friend Josh behind, he has invited her to be Harriet’s understudy. The role of understudy is a difficult one—and it becomes even more so when Harriet turns up dead and the police name Josh their prime suspect. With the NYPD breathing down her neck, Josh must find the people responsible while ensuring that the show will go on. 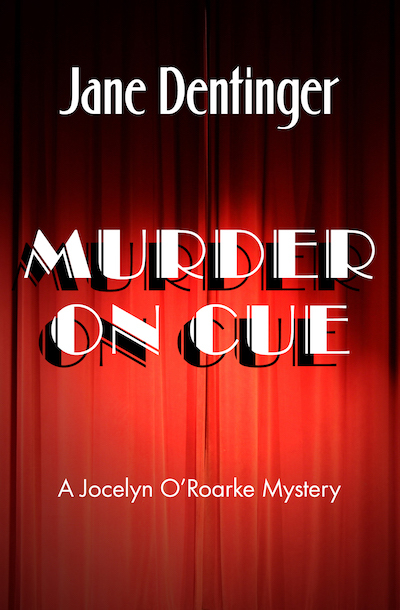 Murder on Cue is the first book of the Jocelyn O’Roarke mystery series, which also includes First Hit of the Season and Death Mask.